I certainly wouldn't bother to go out to photograph a loco and support coach working, but as I was already on the bridge at Swarkestone on 9 May 2003, why not! 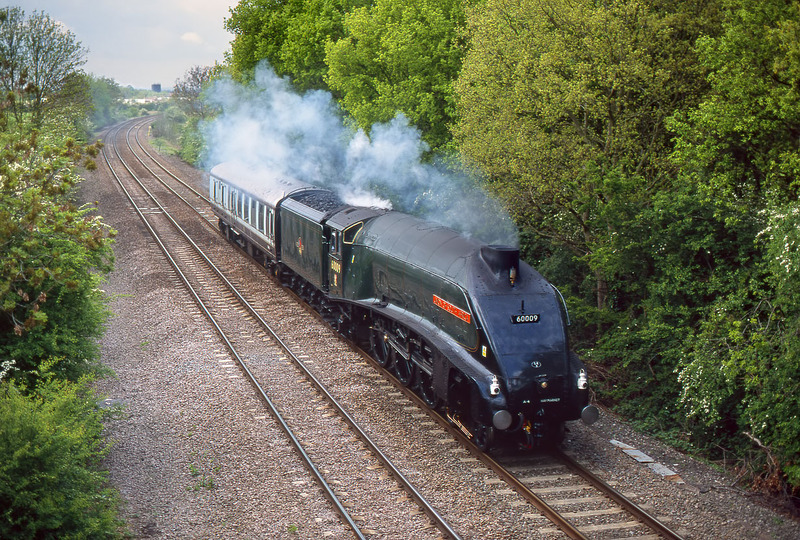 A4 4-6-2 60009 Union of South Africa passes by with the 09:30 Kidderminster to Leicester positioning move. This was in preparation for the following day's Kettering to York charter.